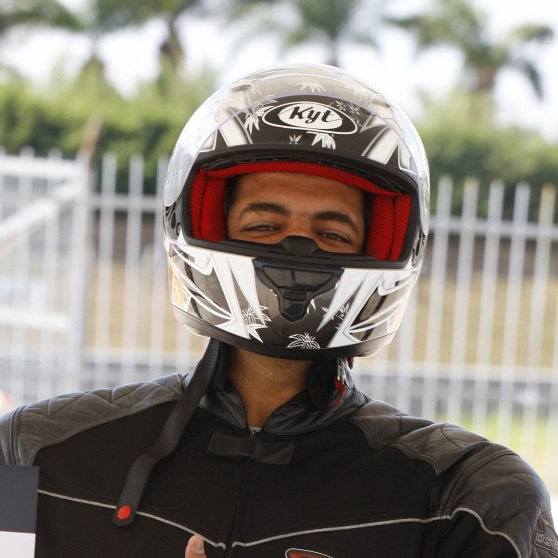 We all are fascinated by motorcycles being turbocharged, at least we at Bike India are, and there are many people around the world who have converted their big bikes into turbocharged machines. 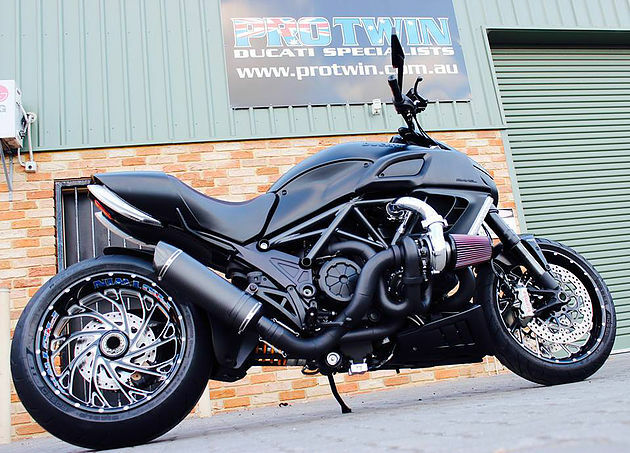 And amidst them is an Australian Ducati Specialist company called Pro Twin, who have taken a normal Ducati Diavel and strapped a turbocharger to it making it wicked. But rather than going in for an off-the-shelf turbo kit for a motorcycle, Pro Twin went all in for a custom built turbocharger. In July 2016, the owner of this tricked out Diavel, approached Pro Twin for the project however, he had to wait for a while before Pro Twin started work on the Diavel. 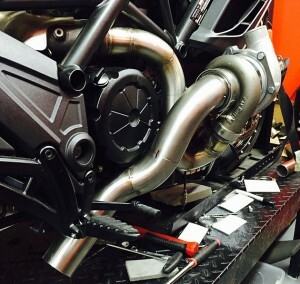 However, once they received the Diavel at their workshop, the guys at Pro Twin commenced work with utmost enthusiasm putting in extra hours to get the turbo kit going. After working on the turbo and the plumbing for weeks, the final kit was ready. 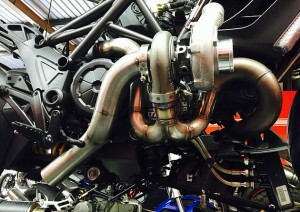 Pro Twin then mounted the turbo on the Diavel, sorted the cooling bit and re-tuned the ECU and other electronics and boom, the Diavel was ready for the dynamometer where further tests were conducted and the turbo was fine tuned for optimal performance. Once the bike was tuned to perfection the figures were mindboggling. 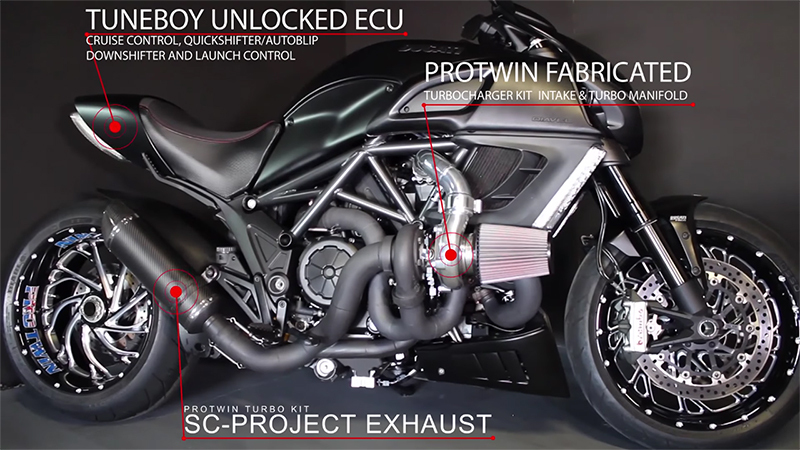 The turbo Diavel was now producing 237 PS and 165 Nm of torque, much more than a stock bike. The bike is now back with the owner who seemed ecstatic when they finally gave the bike back to him.